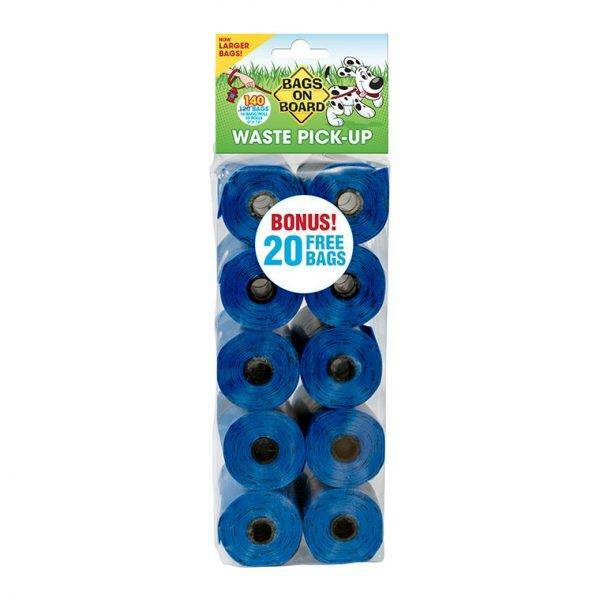 Bags on Board Blue Dog Waste Bags makes picking up your pet waste quick, simple, and easy whether you’re on a walk or in the backyard. Our dog poop bags are strong, durable, and 100% leak-proof guaranteed. Bags on Board Rainbow poop bags are available in our classic blue color and refill and fit all Bags on Board dog waste bag dispensers, so you do not need to buy a new one. 100% money-back guarantee.